Background: Isoniazid (INH) is one of the main line drugs used in the treatment of tuberculosis (TB) and the development of resistance against this compound can result in serious problems in the treatment procedures. Resistance to INH is associated with a variety of mutations. Objectives: The aim of the present study is to determine the frequency of major drug resistance mutations across katG and inhA loci of multidrug-resistant (MDR)-MTB isolates using a molecular test. Materials and Methods: 125 Mycobacterium Tuberculosis (MTB) clinical isolates were studied. The Centers for Disease Control and Prevention (CDC) standard conventional proportional method was implied to test drug susceptibility. DNA extraction, katG and InhA amplification, and microarray were performed. Results: From 125 MTB clinical isolates, 34 strains were INH-resistant and 91 strains were INH-sensitive. Of 34 INH-resistant strains, the mutation was identified in 32% KatG 315 (Ser→Thr), in 14% KatG315 (Ser→ Asn), in 52% InhA 15 (C→T), and in 2.9% InhA 17 (G→T). Conclusions: Rapid diagnosis of MDR-TB is essential for the prompt initiation of effective second-line therapy to improve the treatment outcome and limit transmission of this obstinate disease. A range of molecular methods that aid in rapid detection of mutations implicated in MDR-TB have been developed. The sensitivity of the methods is dependent, in principle, on the repertoire of mutations being detected, which is typically limited to mutations in the genes katG and the promoter region of inhA. Background: Lipoprotein (a) [Lp(a)] is an low-density lipoprotein like particle and is an important independent risk factor for coronary artery diseases (CAD). Few studies on Lp(a) level in Thai elderly to screening risk of CAD may concerned. Aims: To study the relation of Lp(a) level and routine biochemical parameters including lipid profiles and fasting blood glucose in elderly and to determine risk of subclinical symptoms by using Lp(a) levels as early risk predictor. Settings and Design: Cross-sectional study during January to March 2015 at Amphawa district, Samut Songkhram province, Thailand. Materials and Methods: Anthropometric data and CAD risk factors (such as, blood pressure, cigarette smoking and body mass index) were recorded, and blood samples were collected from elderly farmers (N = 60). Each collected blood sample was prepared to serum for determining lipid profiles and sodium fluoride plasma for determine fasting blood glucose. Results : Only the average of prehypertension was out of reference range. There were found that Lp(a) can be used to indicate the risk of dyslipedemia [odds ratio (OR) = 8.80 and relative risk (RR) = 3.60] and prehypertension (OR = 15.67 and RR = 6.50). Statistical Analysis Used: The CAD risk and biochemical parameters were presented in mean ± standard deviation. The calculation of OR and RR of Lp (a) for hypercholesteremia, prediabetes, and prehypertension were calculated by MedCalc (Medcalc software bvba, Belgium). Conclusion: This study can be conclude that Lp(a) check together with lipid profile and blood pressure can be useful to screening of CAD with more accuracy especially in subclinical group. The study included 400 elderly patients (≥60 years of age) with clinically suspected sepsis. The maximum number of patients was in the age group of 60-69. Diabetes was the most prevalent comorbid condition. The most common site of infection was the urinary tract followed by the lungs atypical manifestations were quite prevalent with delirium being present in majority of patients. The most common organism isolated was Staphylococcus aureus followed by Escherichia coli. Introduction: Sepsis is one of the leading causes of morbidity and mortality in the elderly; despite great progress in antimicrobial treatment and intensive care medicine, the incidence of sepsis remains high while severe sepsis still has high mortality. Materials and Methods: The study included 400 consecutive elderly patients (≥60 years of age) with clinically suspected sepsis. Sepsis definition was based on the presence of infection and two or more of the systemic inflammatory response syndrome (SIRS) criteria. Blood and other site cultures were obtained on admission and during hospitalization when needed. Result: The total number of elderly patients with suspected septicemia who were enrolled in the study was 400. The maximum number of patients (68%) were in the age group of 60-69 years, whereas 32 patients (8%) were in the age group of >80 years. The age of the study population ranges from 60 years to a maximum of 95 years. The mean age of our study population was 67.52 ± 6.65 years with a male: female ratio of 1.68. The prevalence of SIRS criterion in the study population shows that tachycardia (89%) was the most common criteria followed by fever (84%) and leukocytosis (82.5%). All the four SIRS criteria were present in 42% of the patients, three in 37.5% of the patients and only two in 20.5% of the patients. The most common site of infection was the urinary tract (30.5%) followed by the lungs (21.25%) and skin infection (14%). Atypical manifestations were quite prevalent in the study population with delirium being the most common presentation. Conclusion: The present study was undertaken to study the clinicomicrobiological profile in Indian elderly patients presenting with sepsis. The mean age of the study population was 67.52 ± 6.65 years. Out of 400 cases, there were 115 (28.75%) blood culture positive cases. Gram-negative organisms (51.7%) were more commonly grown than gram-positive ones (48.30%). The most common organism isolated was Staphylococcus aureus (49 patients) followed by E. coli (36 patients). Diabetes was the most prevalent comorbid condition in our study population that was present in 28% of the population followed by BPH (17.75%) and hypertension (16%). Delirium was present in 112 (28%) patients not having CNS infection. In our study, 324 patients improved, whereas 76 died and the mortality was positively correlated with the stage of sepsis and it was statistically significant (P = 0.032). Background : Eye disorders extol great impact on the quality of life and mental health of individuals, thus constitute a public health concern. This study aimed to evaluate the prevalence and sociodemographic characteristics of psychological problems among patients with eye disorders in a major eye clinic in southwest Nigeria. Materials and Methods : It was a cross-sectional survey. Consecutive patients attending the clinic over a period of 6 weeks were administered questionnaire with sections on demographic and clinical characteristics, General Health Questionnaire and Hospital Anxiety and Depression Scale to assess psychological morbidity, anxiety, and depressive disorders. Results : One hundred and forty-seven respondents consisting of 51.7% female took part in the study. Glaucoma (28.6%) was the most frequent diagnosis. About a fifth (19.7%) of the respondents had psychological morbidity, while 15 and 14.3% of the respondents screened positive for anxiety disorder and depression respectively. More than half of the respondents (54.4%) had poor visual acuity. There was no statistical difference between the respondents who were visually impaired compared with those that were not as far as psychological morbidity (P = 0.93), anxiety (P = 0.99), and depression (P = 0.22) are concern. Respondents with comorbid conditions were significantly more likely to have psychological morbidity (P = 0.05) and anxiety disorders (P = 0.02) compared with those without comorbidity. Conclusion : There is high prevalence of psychological disorders among ophthalmic patients with or without visual impairment. Thus, assessment for psychological distress and other emotional disorders such as anxiety and depression among patients presenting with eye disorders is very important. Introduction: Mycobacterium tuberculosis (Mtb) infects one third of the world population. Despite advance in therapy, tuberculosis (TB) remains responsible for 2-3 million deaths annually. During TB, cytokines play a role in host defense. Many cytokines are produced during TB with a predominance of Th1 cytokines during the early stage and Th2 cytokines in the later stages of the infection. The present study aims to screen tumor necrosis factor-alpha (TNF-α), interferon gamma (IFN-γ), interleukin (IL)-12p70, IL-4, IL-6, and IL-1β among TB patients and controls. Materials and Methods: The study was conducted at the Department Of Microbiology, Jawaharlal Nehru Medical College, Aligarh Muslim University, Aligarh, India. Different cytokine levels were measured in 65 samples of TB patients of whom 30 (46.1%) were new TB cases and 35 (53.8%) were suspected multidrug-resistant (MDR)-TB cases along with 15 bacille Calmette-Guérin (BCG) vaccinated healthy controls by enzyme-linked immunosorbent assay (ELISA) (Diaclone, France). Complete clinical, radiological, and treatment data were collected. Informed consent was taken from all subjects. Study was approved by the Institutional Bioethical Committee, Jawahar Lal Nehru Medical College. Statistical analysis had been performed by using Sigma plot (10.0). Results: The serum concentration of TNF-α, IFN-γ, IL-12p 70 , IL-1β, and IL-6 in patients with active TB and MDR-TB was elevated than in patients after anti-TB treatment (P < 0.001), in contacts (P < 0.001) and in controls (P < 0.001). It was found that IL-6 seems critical in resistance to TB. IL-4 concentration increased only in MDR-TB patients (P < 0.001) as compared to controls. All these cytokines showed no significant variations according to the site of involvement in pulmonary versus extrapulmonary TB cases. Conclusions: Measuring the serum levels of several cytokines may be useful for evaluating the activity of TB disease and monitoring the clinical effects of anti-tubercular treatment (ATT). The serum TNF-α, IFN-γ, IL-12p 70 , IL-1β and IL-6 level can be a useful marker to diagnose the effectiveness of therapy in the patients. Background: This study was aimed at examining how stigma negatively affects adherence to antiretroviral therapy (ART) in urban slum, Uganda, by exploring the knowledge, experiences, and opinions of health care givers and human immunodeficiency virus (HIV) community volunteers in order to propose appropriate strategies to improve ART adherence Materials and methods: A qualitative research involving 15 semistructured interviews at Kawempe Home Care Initiative, Kampala, Uganda. Semistructured interviews were with 10 HIV community volunteers from both Kawempe and Kasangati as well as 5 health care givers who work at Kawempe and on outreach programms at Kasangati. Interviews were transcribed and data coded by thematic analysis Results: Stigma was well known and interpreted among health care givers and HIV community volunteers. Knowledge, opinions, and experiences about stigma related to ART were in depth and diverse. Possible strategies to address stigma and subsequently improve ART adherence were agreed as suitable. These included community education, training of more HIV community volunteers, increase counselling, increased family support, and behavioral change Conclusion: Knowledge about stigma is insufficient to promote adherence, but cultural issues in society should be addressed while educating and sensitizing people on stigma so as to promote adherence to ART. In addition, stigma and disclosure are interrelated phenomena that affect takers of antiretroviral drugs to adhere to medication. A 26-year-old male got admitted with fever of 103°F with chills and rigor for 6 days. He was diagnosed with Plasmodium falciparum infection by peripheral blood smear examination, later confirmed by polymerase chain reaction analysis. Blood smear showed 2% parasitemia. As the patient was hypotensive, intravenous artesunate was started. Two days later, he reported passing "Coca-Cola"-colored urine. Examination revealed tachycardia, anemia, and mild icterus. Serum free hemoglobin and lactate dehydrogenase was elevated whereas haptoglobin was very low. Urine showed the presence of hemoglobin without red blood cells. Glucose-6-phosphate dehydrogenase assay was normal. Chloroquine, primaquine, and quinine levels in blood were undetectable. There was no evidence of any coinfection. Artesunate was stopped suspecting a causal relationship. Intravenous quinine was started. The urine showed progressive clearance over 3 days, and the patient recovered. The strong temporal association of initiating artesunate and occurrence of hemoglobinuria suggested the possible etiological implication which is not documented before. 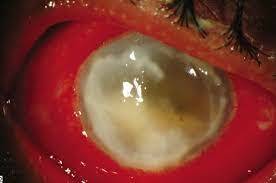 Bacillus cereus (B. cereus) endophthalmitis is a serious and rare ocular infection. Infection with B. cereus needs to be suspected in penetrating injuries sustained with retention of intraocular foreign bodies (IOFBs) and in agricultural settings. Additionally, it can be a cause of endogenous endophthalmitis in intravenous (IV) drug abusers and in dialysis patients. It is characterized by acute onset and a rapid fulminant course, often leading to enucleation or evisceration of the involved eye. Intravitreal and IV vancomycin has good coverage against B. cereus. Though associated with poor outcomes, high index of suspicion with early initiation of treatment might improve prognosis. Case reports of two patients with fulminating B. cereus endophthalmitis treated in our hospital in the last 1 year are reported. This is the first case of Microsporum ferrugineum isolated from a patient in Uttarakhand. A 56-year-old man came to the skin outpatient department with the chief complaints of tinea corporis associated with the symptoms of tinea cruris. Examination of the patient disclosed diffuse erythematic and perifollicular papules and pustules in the chest, abdominal, and the back. Typical vesiculopustular lesions involved the skin of groin area also. Isolate was identified as M. ferrugineum on the basis of macroscopic and microscopic colony characteristics. 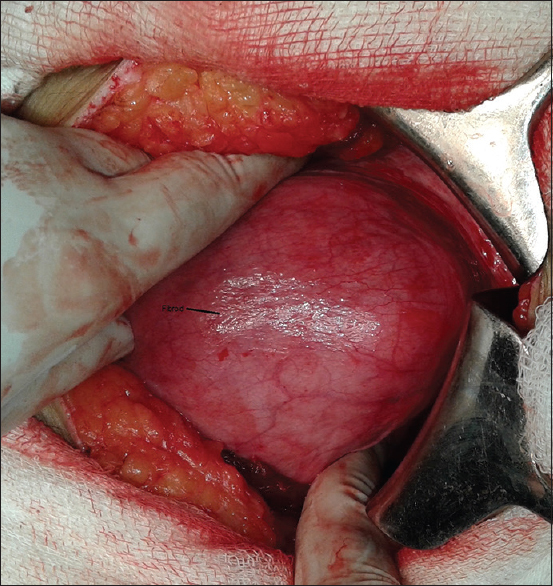 The patient was treated successfully with griseofulvin which was administered for 4 weeks.